This morning started as any other with a cup of coffee, rambunctious little boy, and some hungry chickens. 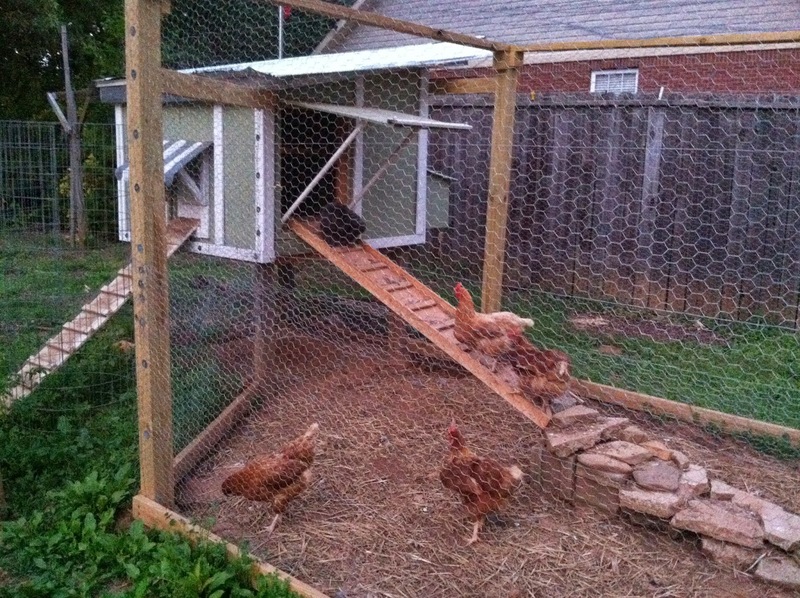 Once my son had breakfast and some cartoons, I headed out to tend to my chickens. The garden seemed to be glowing in all its beauty. There is something special about the feeling you get when you look out at your garden and feel a sense of pride and joy from helping nurture it into its existence. Each plant cell radiating a pretty color, whether it be purple, green, or yellow. 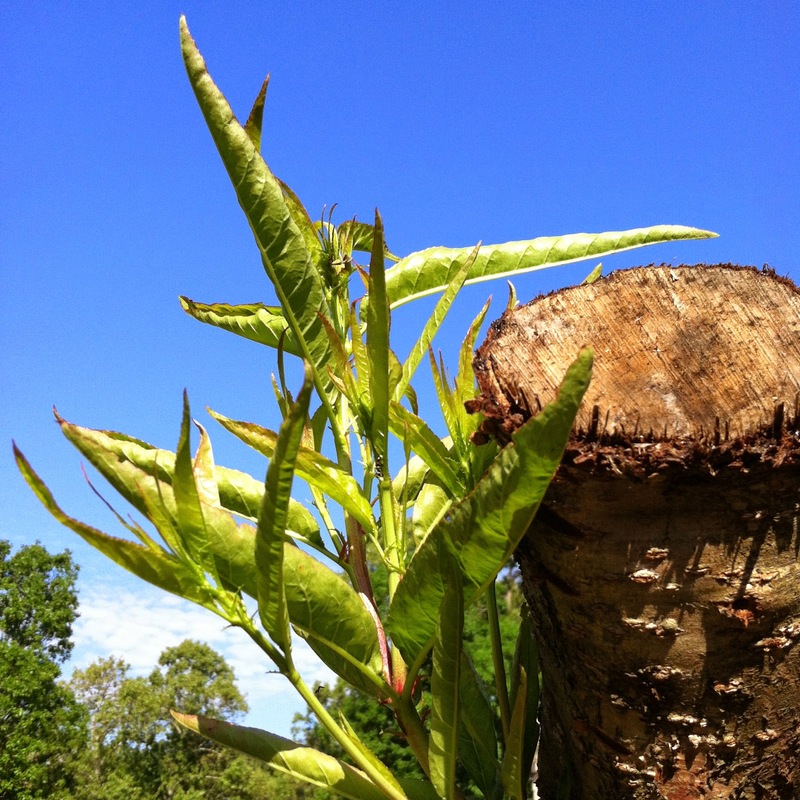 Of course with every garden there is work and it will be perfect in it's imperfections as we are too. 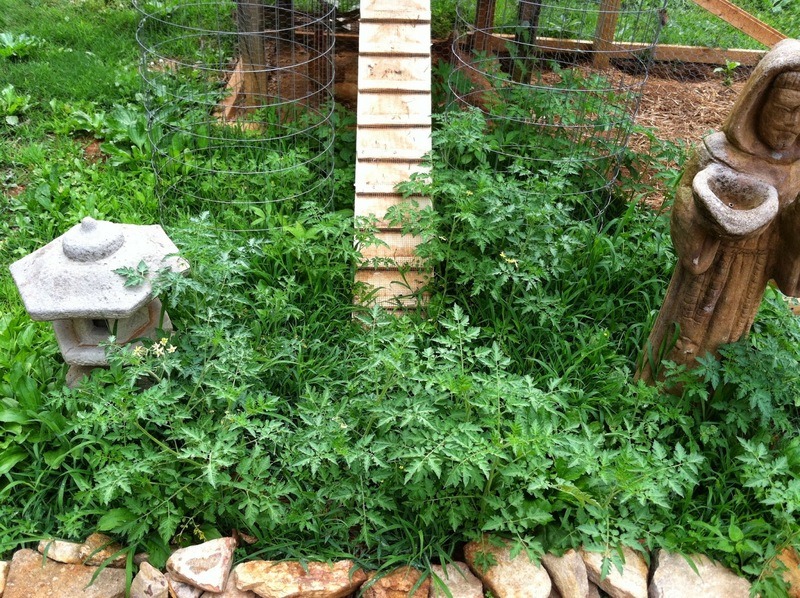 I have resisted burnout on weeding by restricting how often and how much I weed. Even with your own rules, it is not easy because of life changes, the amount of ground you are tending, and the weather. 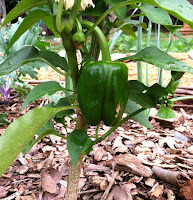 My bell pepper plants are flowering and producing, but my banana pepper plant is still small. The smooth German kale plants are colossal. I can't imagine how big they'll get as they become taller and wider. 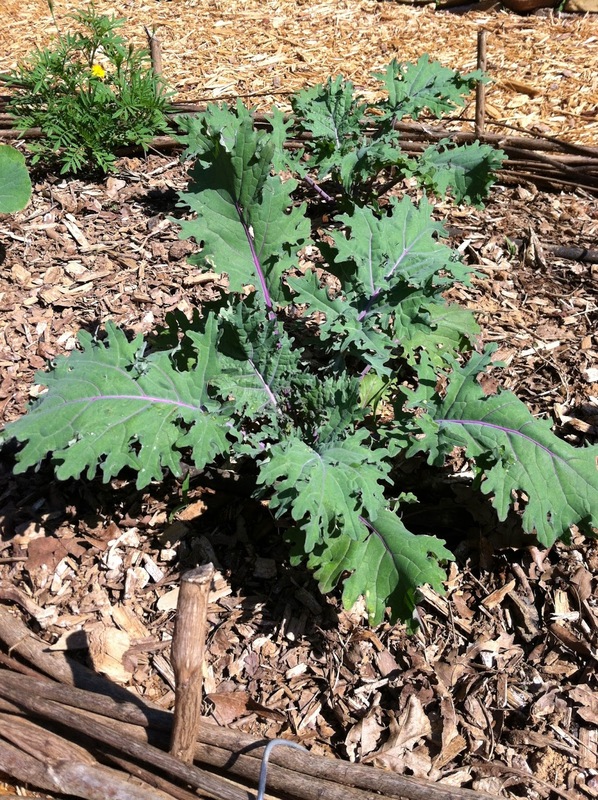 The red Russian kale plants possess such an earthy purple color, it is truly a plant to be admired. Marigolds are blooming as I planted a shorter variety of marigolds after my experiences the year prior with marigolds that were 3 and 4 feet high. 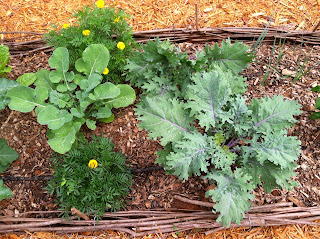 Smooth German kale in between two marigolds on left. 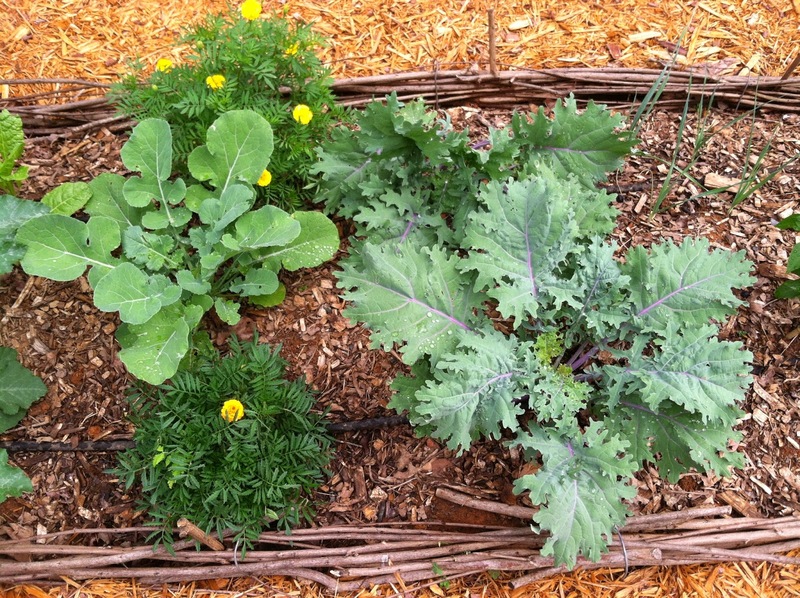 Red Russian Kale on the right. 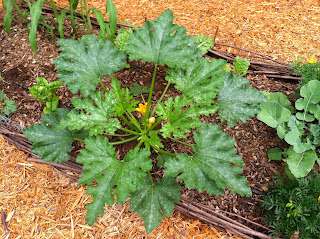 The zucchini plant has the widest coverage in the garden, but it was expected. 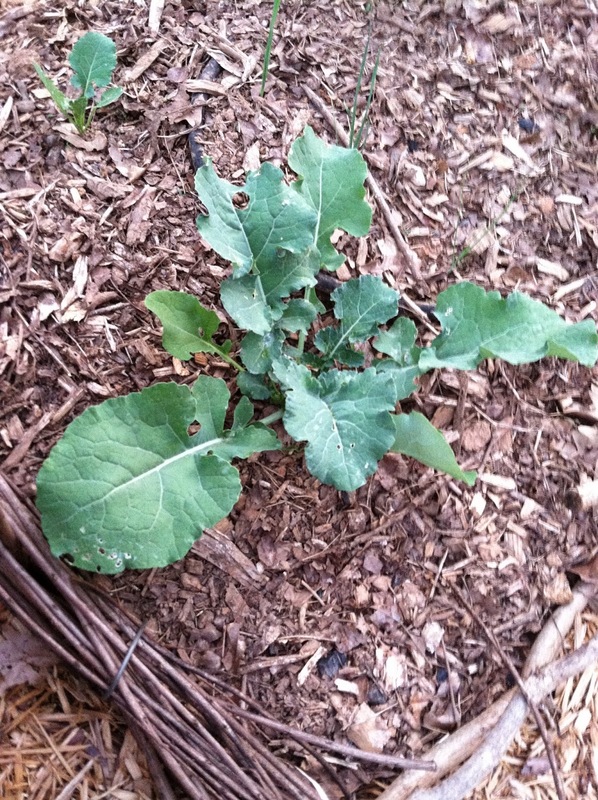 It should shade some of the Swiss chard in a few weeks. My tactic in how I planted was to provide fair amounts of each vegetable but broken up into different parts of the garden. I have read articles and books on how it can help confuse pests and bugs so we'll see how it works. 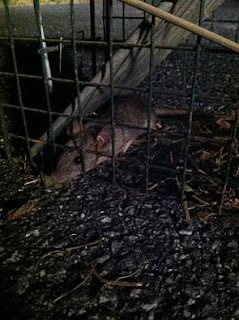 Speaking of pests, I have caught two rats and two chipmunks which I have relocated to other areas far away from my home and garden. Shout out to my father for giving me traps to catch them. 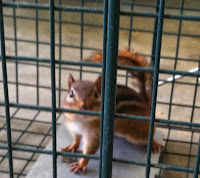 The preferred bait has been chicken scratch and chicken feed so I'll be sure to catch a few more. 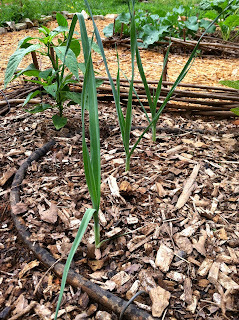 A couple of plants have peaked my interest lately and they are ginger, ground cherries, and leeks. The ginger I planted came from the grocery store and was simple to grow. 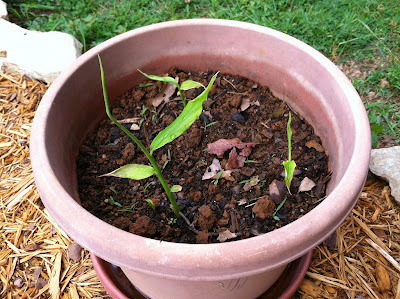 Before I decided to plant ginger, I let it develop buds or sprouts by placing it under grow lights. Once it sprouted, I cut it up into pieces with buds on each 2 inch long slice and soaked it into a glass of water for 24 hours before planting it into a pot a couple inches below the surface. For roughly one month I saw no action. 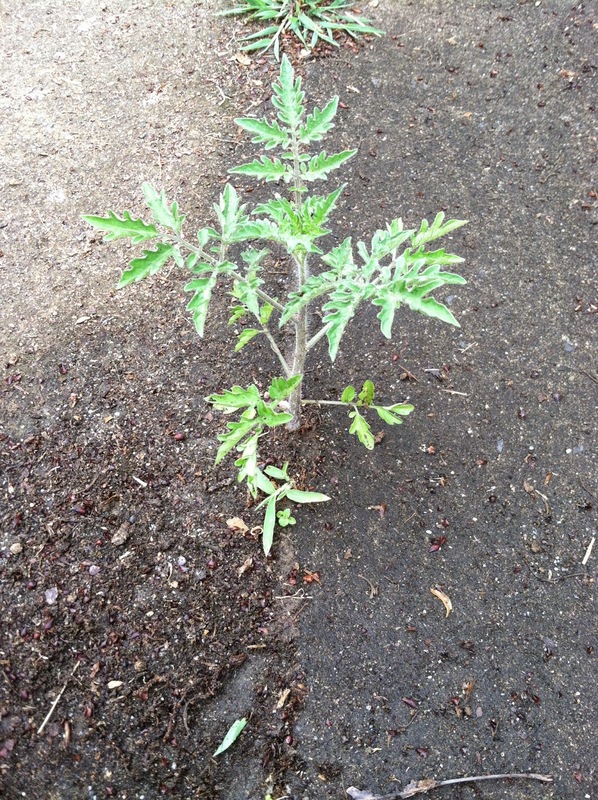 I watered it as I watered any other plants in my screened-in porch and eventually it began to sprout. Can't wait to see it as it grows. 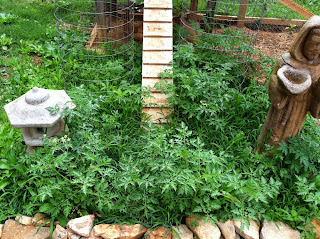 The ground cheery plants have grown significantly and each plant has a handful of fruit on it with little green capes.. The flowers before fruit are yellow and purple. The stem of the plant has a stunning purple streaking. 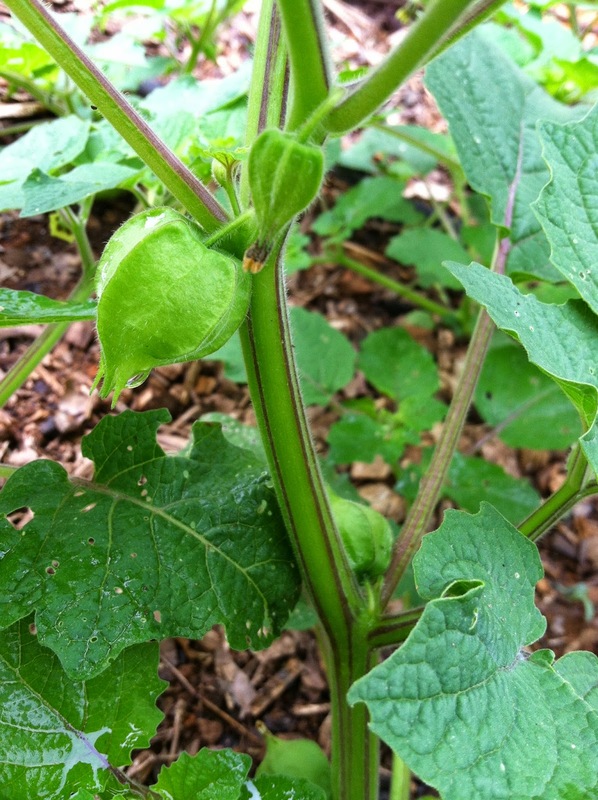 There are not a lot of videos on Youtube regarding ground cherries. People's description of the taste vary so much that I have no idea what they are going to taste like. 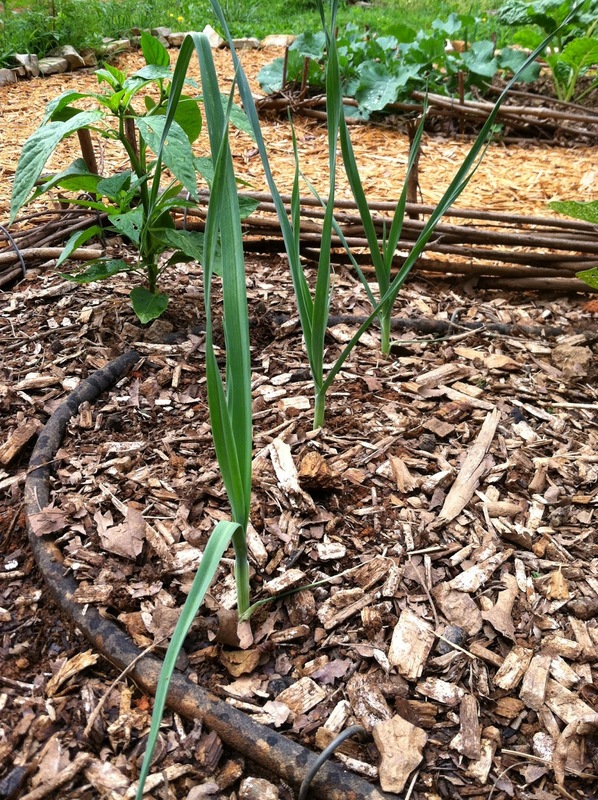 The leeks I planted aren't very big, but they are getting taller and stronger judging by appearance. I look forward to sauteing them with some butter and garlic. I have to say that it is the best problem to have. If only my wife liked tomatoes. The current feeling I get from my garden is best described as waiting for your favorite part of a song and you have to get through just one more verse. Now that the garden has sprung and the flowers have opened, I'm feeling optimistic. 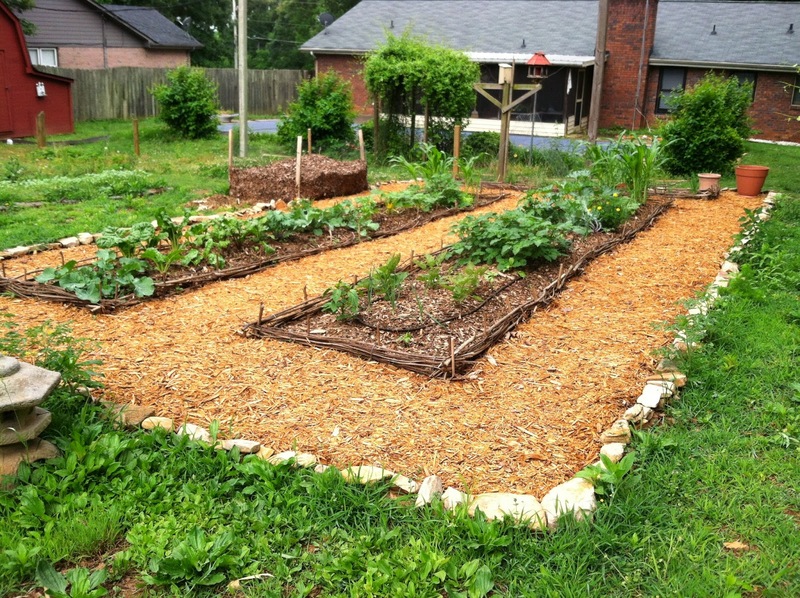 Not to mention that weeding has been reasonable with the use of mulch. One thing I have noticed is that mulch is attracting more slugs which I rarely encountered last year. If they continue to be an issue, I'll start using boards to collect and kill them or feed them to the chickens. I've read that you can lay wooden boards on the ground near your plants and that in the morning, you find slugs underneath the boards which is beneficial if you are trying to use organic gardening methods. 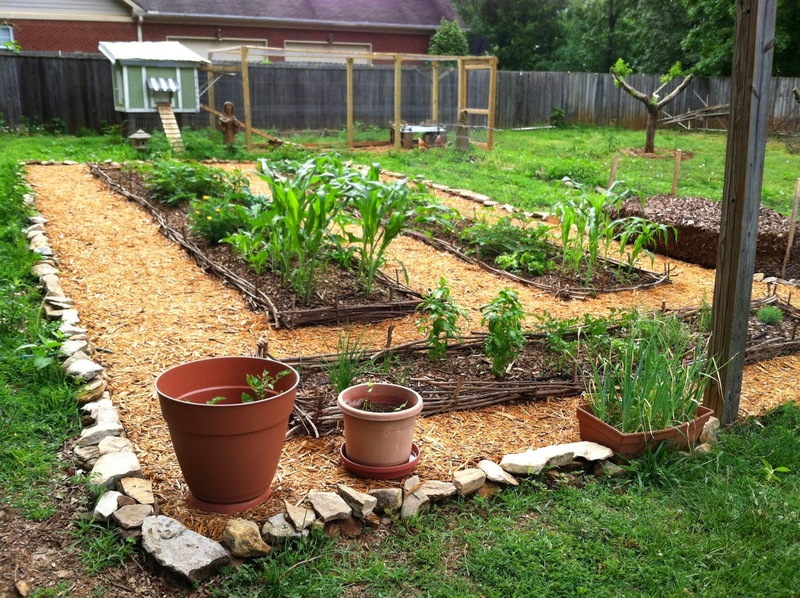 Another option is putting beer in a dish and placing it in your garden which attracts them. I cannot attest to how well it works, but I know that as a child I always found slugs under rocks in the yard so the wooden board is a sure bet! 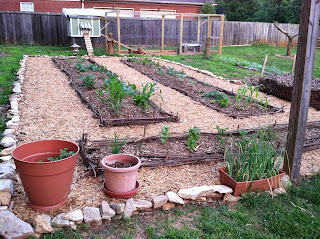 Plants such as the smooth German kale, red Russian kale, zucchini, and corn have grown quickly and gained some height. 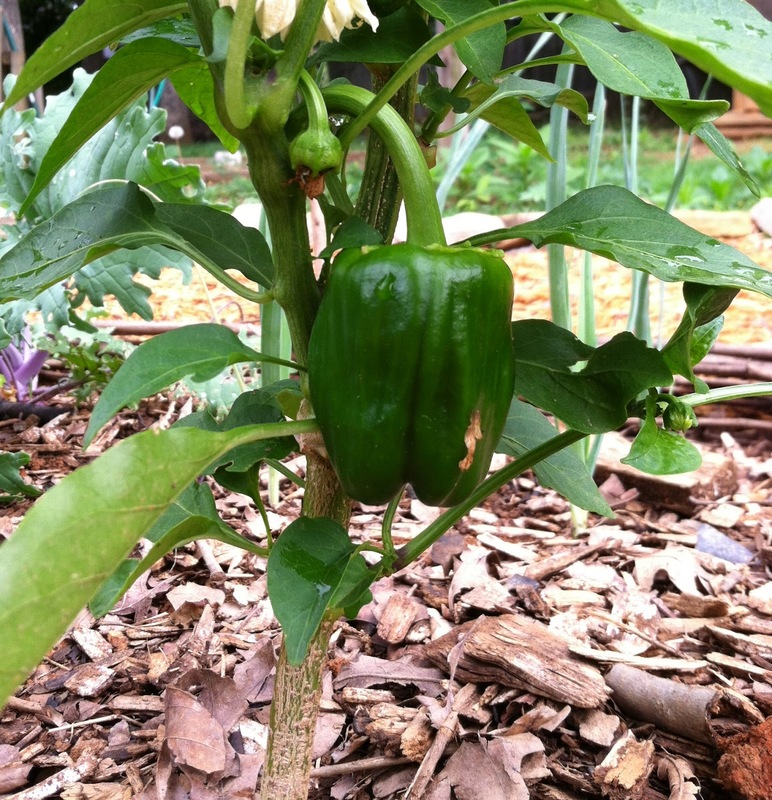 Others like bell pepper, ground cherry, beets, and Swiss chard are growing steadily. Beets have the most amazing red stems that contrast beautifully with their green leafy tops. I trimmed all of my apples trees and peach trees this year and they are beginning to grow new branches which means I didn't kill them...yay!! 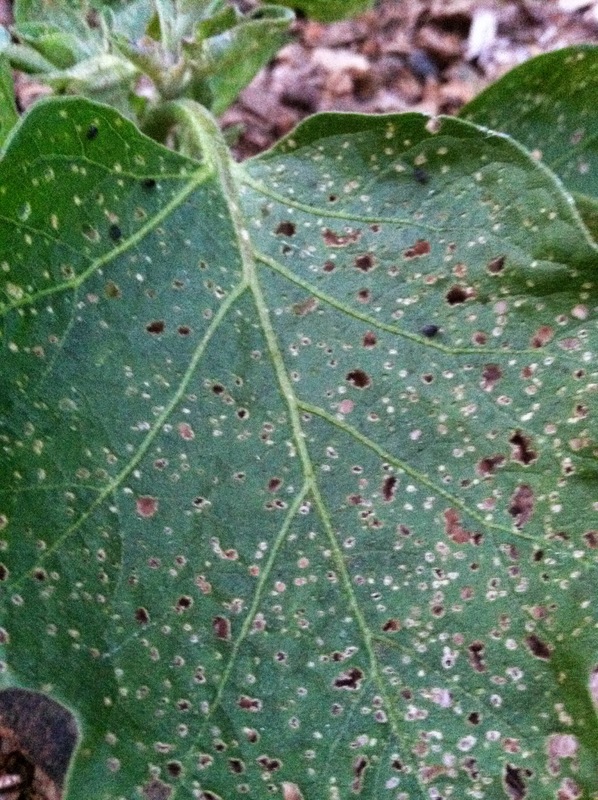 The pests of the week are....drum roll....flea beetles and mice! 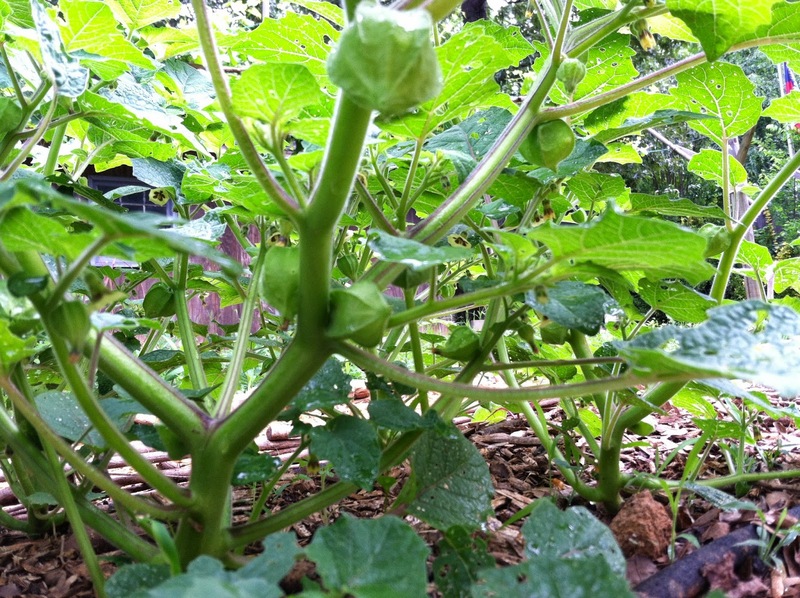 Yes, I have noticed that my eggplant seedlings seemed to do well until flea beetles attacked. They seem to only be on the eggplants, so I'm crossing my fingers and hoping the plants outgrow the fleas' appetites. About two to three weeks ago, I noticed some tiny brown oval shaped things in the chicken feeder and I immediately realized that mice or rats were getting to the feed. My worries initially were the spread of diseases and sicknesses. My first idea was to use glue traps and I had no success not to mention that it made me worry constantly at the thought that one of my chickens could accidentally get stuck to one of my carefully placed sticky traps. My second attempt was putting peanut butter inside of a metal cage trap with no luck, so I decided to read up on it by giving google the ol' search-a-roo. Thanks to the Chicken Chick, I found some techniques on how to keep rodents away from the chicken coop. 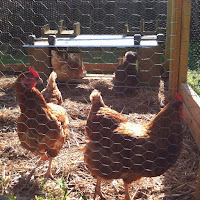 The methods I tried with success after only 48 hours was moving the food and water sources outside of the coop. I also added taking the food inside at night and taking it back out early in the morning as a safe guard. After the first day of making changes I found rodent poop inside the coop where the feeder usually hung. I cleaned it up and crossed my fingers hoping that the mouse was disappointed that his usual buffet was closed. The next morning I checked and found no evidence of a frustrated mouse. Since then, there have been no problems. Honestly, I have been dragging my feet on making the change because I like the convenience of not having to walk the feeder in and out daily. The inconvenience of taking food out in the morning and inside at night are well worth the investment given that a dead chicken is a huge loss when you consider all of the work, food, money, and future egg production. I love my little hens too, so as soon as I realized there was an intruder in their coop at night, my daddy mode kicked in. I said, "Oh no! Not my girls!" So, If you are interested in owning chickens, currently have chickens, or just enjoy reading about them, go visit >>>>> Chicken Chick <<<<<. There is an abundance of information on how to care for chickens on her website! 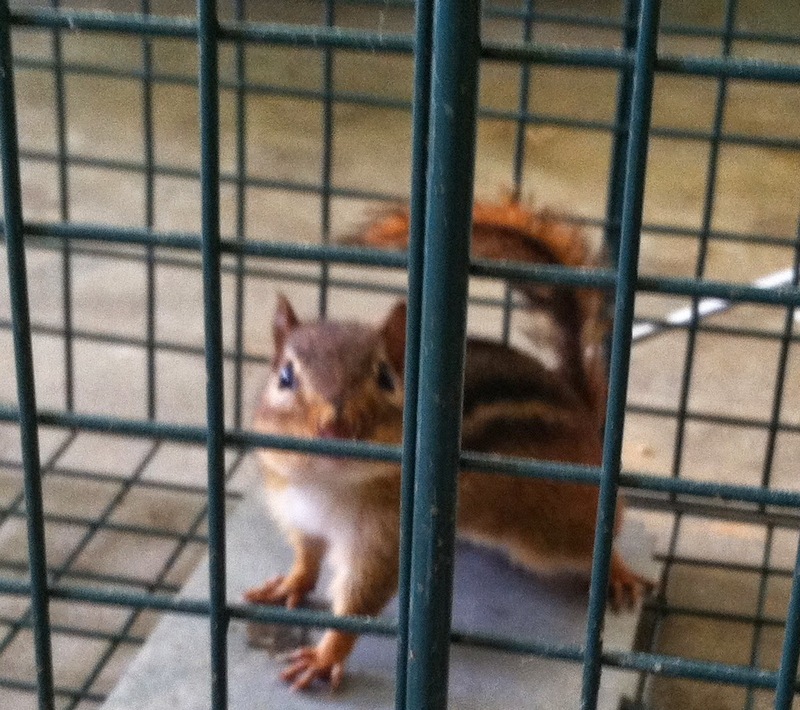 Update: On 5/12/15, I caught one one of the suspects in the "who pooped in my coop" incident. The suspect's mugshot is below and has been released into the wild far away from home.